End of the line for land squatters? 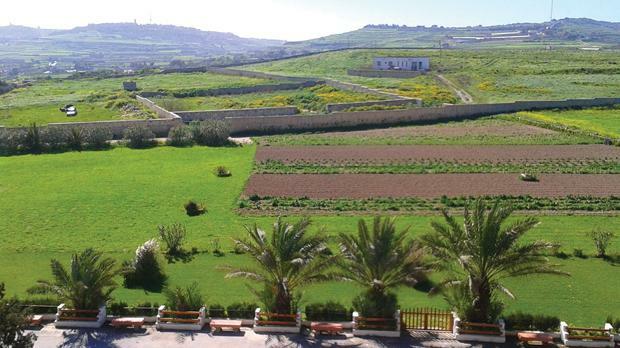 The above photo taken from Mount St Joseph retreat house, Tarġa Gap, Mosta, shows the proximity of the proposed shooting range beyond the wall in the background. Last week, MP Jason Azzopardi unveiled in Parliament, on behalf of the Opposition, a Bill that aspires to put its finger on what actually constitutes the ‘public domain’. Normally, this phrase is reserved for information that has been released for public consumption, but the Bill in question has natural, cultural, archaeological, architectural and historical connotations in mind. In fact, the Bill identifies a list of features that it considers to fall squarely within the public domain, namely the seabed, subsoil and the foreshore. The Bill opens the door for NGOs and interested parties to make the case for inclusion of other sites and assets to be included in the public domain list, such as valleys, woods, fortifications, nature reserves, squares, and so forth. The incentive to add a site or asset to the public domain list is considerable, since the Bill entrenches unfettered public access to anything on the public domain list, staving off any commercial or private interest unless previously enshrined through public deed. The Bill is ambitious indeed since it effectively bars the government of the day from embarking on any initiative that might hinder free public access and enjoyment of the sites, a mechanism that is novel and revolutionary in our country but which already exists in countries like France and Italy. Azzopardi listed a whole slew of valid cases to which the proposed legislation could apply, namely locations which clearly fit the Bill as they are in the public domain, of national importance and serve a collective utility, but which the public does not have unfettered access to for some reason or other. These include among others the woodland at Miżieb which is colonised by hunters, coastlines that are dominated by hotels and Fort San Leonard in Żabbar, which was under the beck and call of a squatting cow farmer. Azzopardi overlooked at least one additional instance, and a much more glaring one, where the proposed legislation could be applied – the restoration of the public domain status to the foreshore at Armier, Little Armier, Ramla tat-Torri and at all the inlets where the public foreshore has been blighted by illegal construction of boathouses. Although the proposed Bill is prospective, not retrospective, most of the ‘owners’ of these boathouses have no legal title to their acquisition, apart from hazy agreements with past administrations, and thus this instrument, if approved, might finally achieve the unachievable in evicting these squatters, if the necessary political will is in place, of course. The proposed Bill’s provisions could also be used to evict trappers having no legal title from nature reserves, such as Natura 2000 sites. The Bill is being touted, and rightly so, as a pledge towards future generations – it is indeed ironic that it comes in the wake of the recent wholesale resignation of the Guardian of Future Generations Commission. Similarly, the Bill uses the Roman law yardstick to identify the ‘foreshore’ by including in the definition the swathe of coastal land that can be reached by waves as well as high-altitude areas, such as cliffs, which are not reached by waves. Consequently, the foreshore is assumed to extend inland for 15 metres and would fall entirely within the public domain, unless private interests are backed up by legally-binding evidence of purchase. Therefore, by virtue of the Bill, if approved, no encroachment on the remaining stretches of foreshore could be contemplated, meaning no more concessions to hotels, and, perhaps more relevant to today’s caveats, no more beach concessions. The proposed legislation is well and truly a potent addition to the arsenal at the disposal of those striving to safeguard what is left of Malta’s natural patrimony. It is also a compelling albatross around the neck of any country’s administration since it provides much scope for redress by environmental NGOs and interested members of the public who could make a case for a site to be added to the public domain register and for access to be granted to the site. One hopes that the proposed legislation sails through Parliament, since cross-party support would be a fitting endorsement of the growing pro-environment sentiment in this country, which has been clamouring for greater access to the supposedly public natural and cultural assets on the islands. One also hopes that such endorsement would not be conditional to a severe pruning and watering down of the Bill’s provisions so as to render it ineffective. What all the Integrated Coastal Zone Management (ICZM) efforts have not achieved in 30 years, with even the EU failing to agree on a binding directive that includes ICZM provisions, might very well be achieved in Malta through this Bill. It is a given that Malta has long ceased to be a haven for those seeking tranquillity in view of its bustling, traffic-congested environment and boisterous local people. There are a number of indicators of this sorry state of affairs. For example, according to a Malta Environment and Planning Authority study, only in 10 per cent of the Maltese islands can one totally avoid the sight of buildings. Another indicator is the fact that there are only a few retreat houses in Malta. Against this sobering background, one would expect that the handful of retreat houses we actually have on the islands would be respected. So the recently announced proposal for the development of a shooting range that rubs shoulders with Mount St Joseph retreat house in Mosta raises many eyebrows. As if it were not enough to be faced with the plan to further clutter the islands’ remotest sites with more firework factories and the plan to again extend development boundaries (which will probably be implemented in the coming months), plans to extend the number of shooting ranges, masked under the guise of ‘drafting a policy for shooting ranges’, have long been under way. The 2006 draft version of this policy, which had been relaunched for public consultation last year, states that shooting ranges “should not be located close to hospitals, schools, rural settlements or residential areas, homes for retired or disabled due to acoustic nuisances generated”. For obvious reasons, retreat houses should similarly be spared the acoustic onslaught wrought by shooting ranges, whose activity is mainly outdoors. At its closest point, the proposed range in Mosta lies just 100 metres away from the periphery of the retreat house. Despite the retreat house being run by a religious order – the Jesuits – it is also regularly used by secular groups, such as scouts. Since the site of the proposed shooting range used to be an anti-aircraft battery, the government should ensure that this public land is used for a purpose that is in harmony with its historical legacy, rather than for intensive commercial activity that necessitates further building in what is currently an Outside Development Zone site.